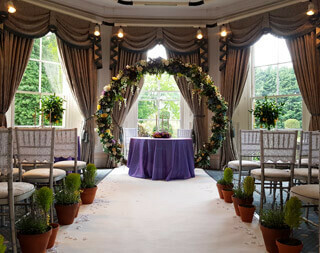 Whatever the scale of your wedding, we will make this once in a lifetime event personal and memorable. We stay clear of offering a menu of packages and instead tailor-make our services for total flexibility. 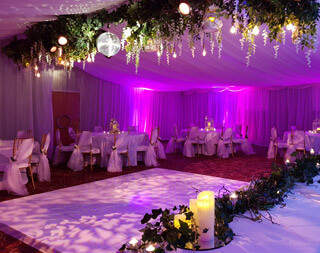 Nothing is too much trouble and we go the extra mile to source the items to make up your dream wedding. 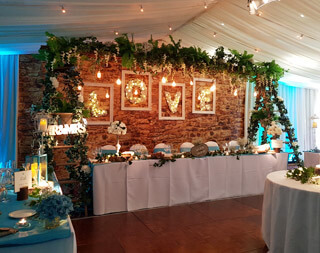 Starting off by ascertaining your needs and wishes, we’ll guide you through the whole process, showing you visions we can achieve based on various budgets. From a minimum spend of £1,500 in the summer peak season, up to any amount you require, the freedom is yours to express your own individual wishes. Overseeing every little detail and driven by our proactive approach, we’ll manage everything to make your day go precisely to plan. 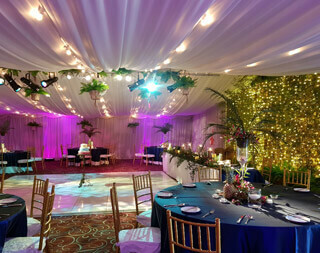 When it comes to designing, planning and implementing bespoke events, we encompass a broad range of services. Backed by our experience spanning 40 years, our expertise offers complete support that caters to your every need. 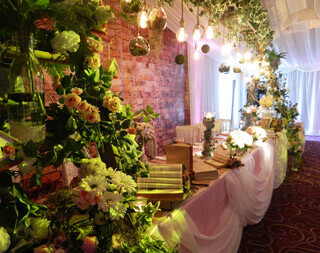 We use décor creatively to bring a cohesive exquisitely designed theme both inside and out. 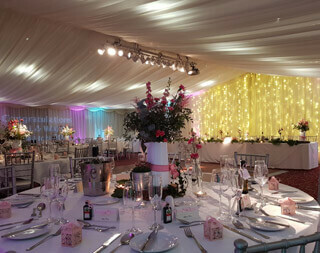 From supplying marquees for all seasons and occasions… to creating the desired look through draping and interior design. Bright ideas in ambient and wayfinding lighting through to state-of-the-art digital and heavy duty set ups. Sound advice on the best audio systems to create anything from background music to hosted entertainment PA systems. 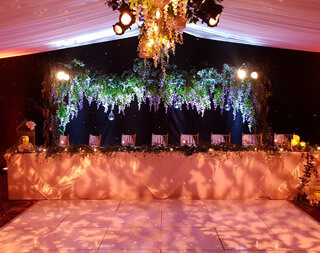 Matching your theme with bespoke dancefloors and stages. The floor’s all yours. 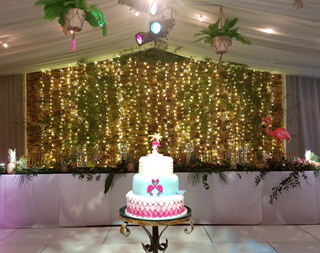 We can create your own experience or choose from one of our creatively designed themes. 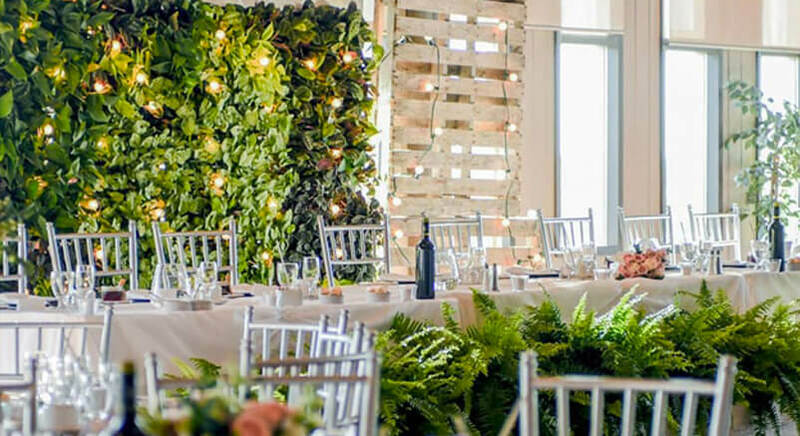 We offer stylish chairs, tables, bars and lounge seating to match your chosen creative theme. We design eye-catching features to create the perfect ambience or pick from an elegant stock range. Our service is bespoke and personal. So, feel free to call on us to take care of anything you need. © Copyright Stingray Events 2018. All rights reserved.